Purchasing this item will earn you at least 276 GES RewardPoints! 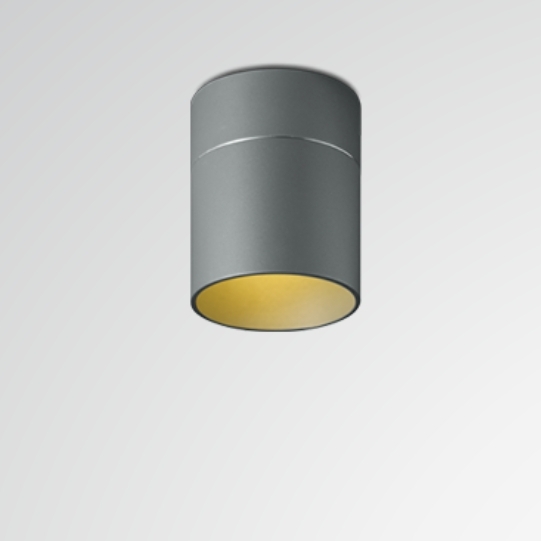 The Tudor M ceiling light is a cone-shaped aluminum tubes with a diameter of 12 centimeters. The outer surface is matt and optionally available in six different subtle colours. A special version has been refined on the inside by the manufacturer Oligo with shiny gold leaf. The lamp can be easily integrated into any residential feel and even vote in color balanced. Tudor M is equipped with modern LED-technology. You benefit from high energy efficiency and a long service life of your light.